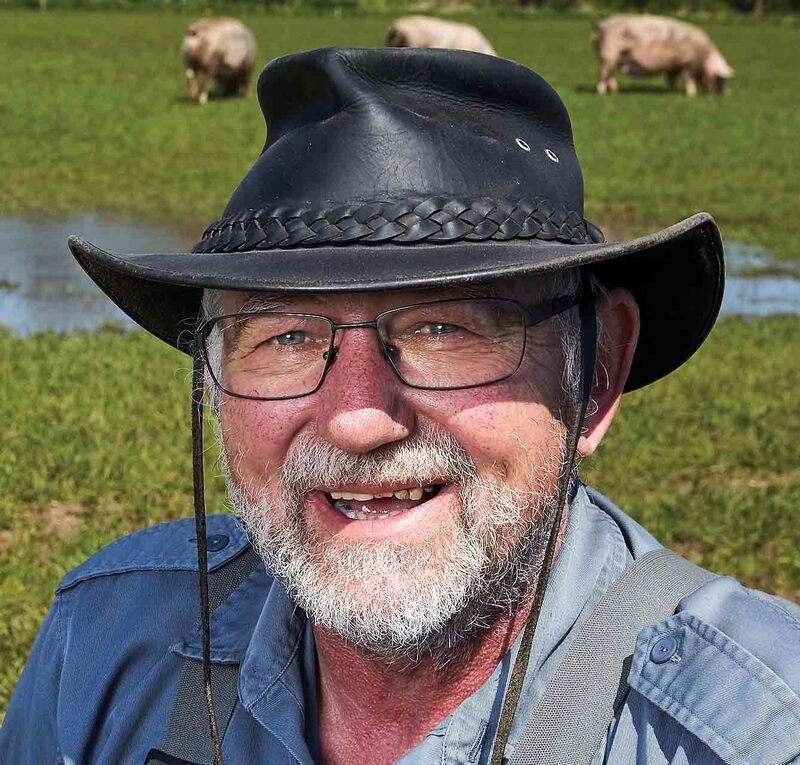 Preben Drastrup has 300 organic sows on his farm in northern Denmark. He supplies pigs to Friland, which handles all organic and high welfare pigs and cattle within Danish Crown in Denmark and is the largest producer of organic meat in Europe. Green fields, blue sky and lots of fresh air – all the things I appreciate as an organic pig farmer. A large proportion of Denmark’s conventional pork is exported, with the UK a key market, of course, but most of our organic meat ends up in southern Europe. My primary concern, however, is taking care of my pigs and being able to make a living out of it. Perhaps that’s why I work a little harder, even though it costs more. For example, I keep piglets with the sow for nine weeks instead of the seven required by Denmark’s organic production regulations, allowing two extra weeks with their mother. After nine weeks they enter the stable, which used to hold my cattle (prior to switching to pigs in 2006, I was a conventional milk producer for 25 years). It is now a big place for my pigs, where they have lots of straw to lie in and, of course, the opportunity to go outside when they need fresh air. Being an organic farmer means everything to me. Had that opportunity not existed, I would not have been a farmer today. When I started in farming, the concept of organic production did not exist. I was never a fan of chemicals – I did not spray my bees and never fertilised my grassland with fertiliser. At one point, one of my neighbours switched to organic production. I followed him and I have not regretted it for a moment. Enjoyment and job satisfaction as an organic farmer is about much more than getting a higher price for my pigs. High animal welfare, the wellbeing of the pigs and the ability to supply the Danish consumers with organic meat are also important factors. I would not be able to work inside a stable all day. I love to be outside and enjoy watching the pigs tumble on the ground with their noses in the mud throughout both summer and winter. The pigs don’t care if it rains or snows, and they will be just as active. It’s worse for the farmer, though, who must live with the fact he sometimes has to wade through 50cm-deep mud in the winter. I enjoy the unpredictability, too. The other day, the power went off, so the animals ran out and were all over the place. Another day the tyre on a tractor punctured. Not one day looks like the last, and that is just wonderful. The same applies to the work in the field. Once you have drilled and sown in spring, you just take a breath and a relax until autumn. As an organic farmer, you just have to follow nature’s course. I certainly don’t raise organic pigs for fun though. Being an ecologist is pure business, and I want the public to know about pigs and how the business works. We must be proud of what we are doing – and be equally proud of showing it. I open up my farm for everyone who is curious about where meat comes from. This happens at the annual Sofari, where consumers are invited to Danish organic farms to experience the organic pig life. I also invite school classes in to speak to them about the business. I’m currently looking for an extra member of staff – we have increased the number of sows from 200 to 300 and, of course, should still have a 37-hour working week! In addition, I have to take care of myself. I am 64 years old and would like to spend many more years being an organic farmer!